Uncle George! Is that you? Scientists yesterday announced the discovery of the oldest fossil skeleton of a human ancestor in Ethiopia’s harsh Afar desert. The find reveals that our forebears underwent a previously unknown stage of evolution more than a million years before Lucy, the iconic early human ancestor specimen that walked the Earth 3.2 million years ago. 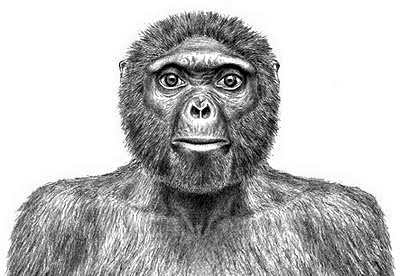 The fossil puts to rest the notion that a chimpanzee-like missing link would eventually be found at the root of the human family tree.